The first of our Limited Edition Loving Vincent prints is now available to purchase. Our iconic Vincent image was the most popular with fans in our print polls on social media, so is the first design to go on sale. Only 100 prints of this image will be sold, each one measures 67cm by 49cm and has been Giclée printed onto high quality Matte Fine Art Cotton Canvas. 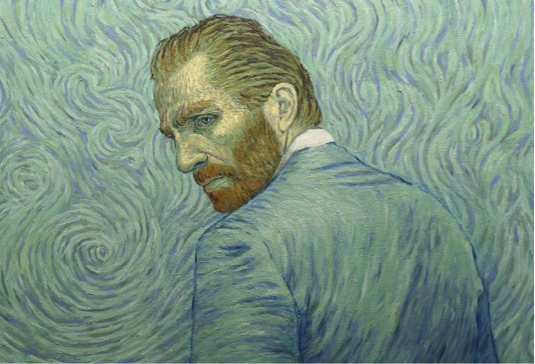 Each print comes mounted on hardboard with a thick colored cardboard passe partout, and every print has also been hand signed and numbered by Loving Vincent co-directors Dorota Kobiela and Hugh Welchman. More designs will go on sale soon, make sure you are subscribed to our newsletter for announcements about the release of new prints.